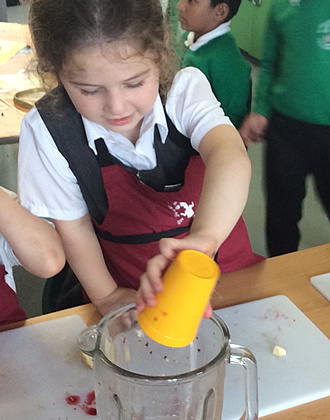 When our Reception children first start school in September, we operate a staggered induction procedure. This means that we divide the children into intake groups by age and begin a programme of half-day visits for the first few days of the Autumn term. As the children grow in confidence we introduce them to lunchtimes, which can be a difficult time in the school day when you are new to school life! Once they are coping with lunchtime, we encourage them to stay all day. Our aim is for everyone to be attending school full time within 2 weeks of starting. Alongside our school based programme we offer home visits. This provides staff with an opportunity for a brief informal visit in the child’s own environment. Many children feel safer in the knowledge that their new teacher has been welcomed into their home. It has certainly helped us to settle the children into school quickly in the past. When we are notified that children will be attending our school in September, we send out a letter inviting parents to a June Information Meeting. We organise visits by staff to current pre-school settings and invite the children to our school events held during the Summer term. If your child enters school in any other year group we will work together to ensure that everyone settles into their new situation as quickly and as happily as possible and will hold a ‘settling in’ meeting with you after 6 weeks. New children will be assigned ‘buddies’ from their class who will help them settle in and introduce them to school procedures and routines. Reception children are assigned a ‘buddy’ from Year 5 at the beginning of the year. The buddy will help your child settle in by reading to them in the classroom, playing with them in the playground and helping them get used to the lunch routine. The ‘buddy’ will be a point of contact for your child any time that they need help or just want to share some exciting news.